As the weather dips lower, I’m reminded that autumn is just around the corner. The slight chill in the air seems to send off a signal that makes me crave comfort foods of the warm, hearty Crock Pot variety! 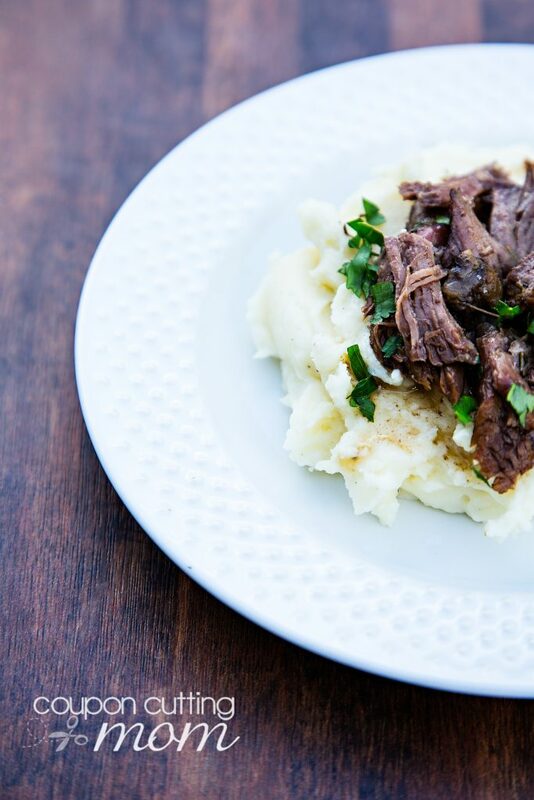 One dish that always gets rave reviews by my family is my Easy Slow Cooker Dripped Beef Recipe. If you’re craving fall comfort foods like I am, you really need to give this recipe a try ASAP! This Dripped Beef recipe uses only a handful of simple ingredients, requires almost zero effort and yields a family dinner that’s a winner! You won’t believe how simple it is to make a marvelously flavorful, tender roast in any slow cooker. 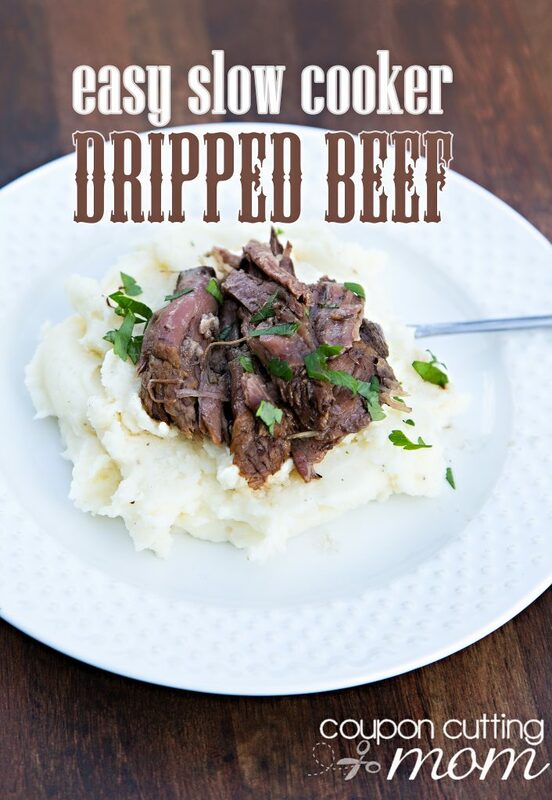 Serve this Dripped Beef recipe any number of ways: by itself with au jus, over mashed potatoes, or with your favorite root vegetables. The au jus makes a deliciously rich gravy on top of mashed potatoes. If you have any Dripped Beef leftovers (and you’ll be lucky if you do! ), use them the next day in a sandwich or wrap with a slice of cheese – this makes a lunch anyone would love! I love making healthy meals to show my family that I care. But it’s not just my recipe that makes this Dripped Beef amazing, it’s also the quality of meat I choose for my cooking. I buy Moyer Beef products for all my beef recipes because I know the results will be tender and delicious. I can trust Moyer Beef is always fresh and local beef raised with care on local family farms. When I buy Moyer Beef meat products, I’m in turn helping sustain family farms throughout the Northeast. As I pass my family’s favorite Dripped Beef recipe down from one generation to the next, I know I’m supporting Moyer Beef’s local farms who pass their heritage through the generations too. To find Moyer Beef in your area, use this handy store locator to find where Moyer Beef is sold near you! Cover and cook on low for 8 hours or until soft. Using forks shred the meat. Strain liquid and return liquid and meat to slow cooker until time to serve on the keep warm setting. 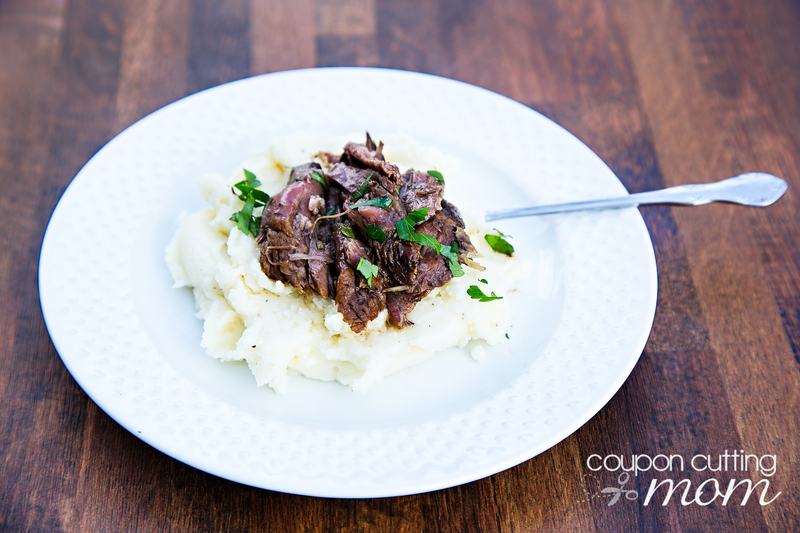 Serve meat and au jus over mashed potatoes.